Pineapples has such a festive look about them. They are super healthy for you as they contain a wonderful digestive enzyme called bromelain. It breaks down protein strains. This easy two ingredient virgin Pina Colada recipe is a winner! Cut off the top of the pineapple. Scoop out the pineapple flesh from the skin. Keep the skin. Add the pineapple chunks to a blender. Add the coconut cream to the blender as well and blend until smooth and creamy. 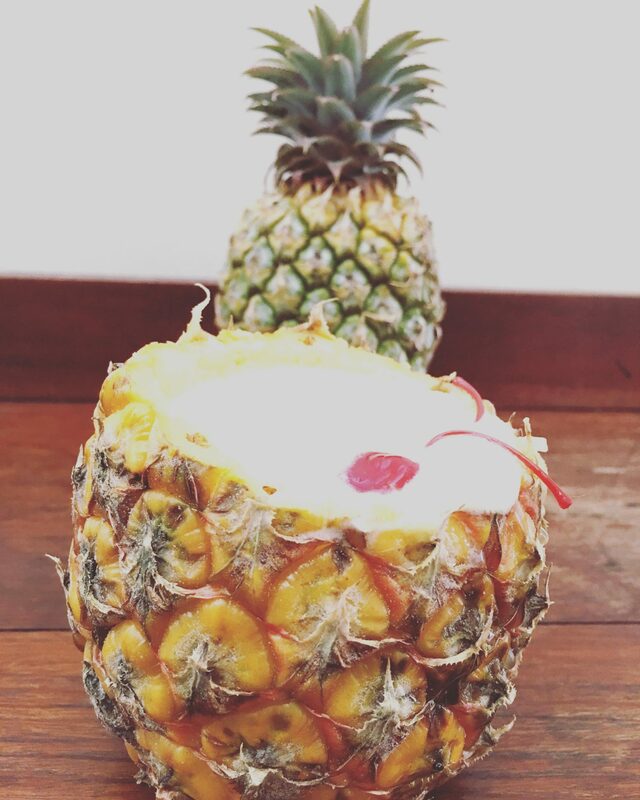 Poor the Pina Colada back into the pineapple skin and serve with a paper straw and some maraschino cherries. Enjoy!